The affordable case will provide ample space for your belongings. Prepare to be astonished as the depth of the case shrinks dramatically when folded. Swiss Case designed its 28-inch folding suitcase for those holidays where you require bulk space from a relatively compact case. Measuring 28 inches, the affordable case will provide ample space for your belongings. Prepare to be astonished as the depth of the case shrinks dramatically when folded. From the outside, it’s hard to believe that the case can store 66 litres – but it can. You will also find it hard to believe that the case weighs just 3.1kg – but it does. Every kilo counts when packing for a holiday, and that’s exactly where this case can benefit you. To ensure that the case is strong enough for a bumpy ride through the transit process, Swiss Case has used highly durable 840D polyester tapestry on the exterior. Inside the case there is 170T polyester to ensure minor rips and tears are avoided. 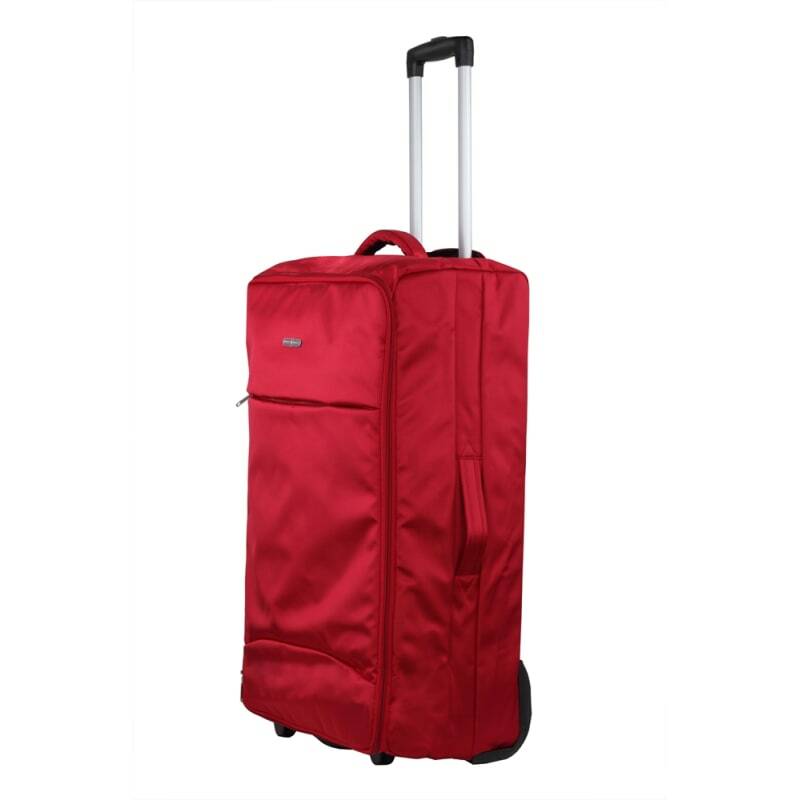 The case is easy to move thanks to durable wheels and a telescopic handle. To ensure the handle is kept safe, use the internal self-locking push-button when checking in the bag. Swiss Case has delivered yet another travel triumph – this time in the form of a 20-inch folding suitcase.